Soak up the long summer days on this five night trip to Jersey. Enjoy a free two course dinner on your first night, and take advantage of the hotel's Champagne lounge. 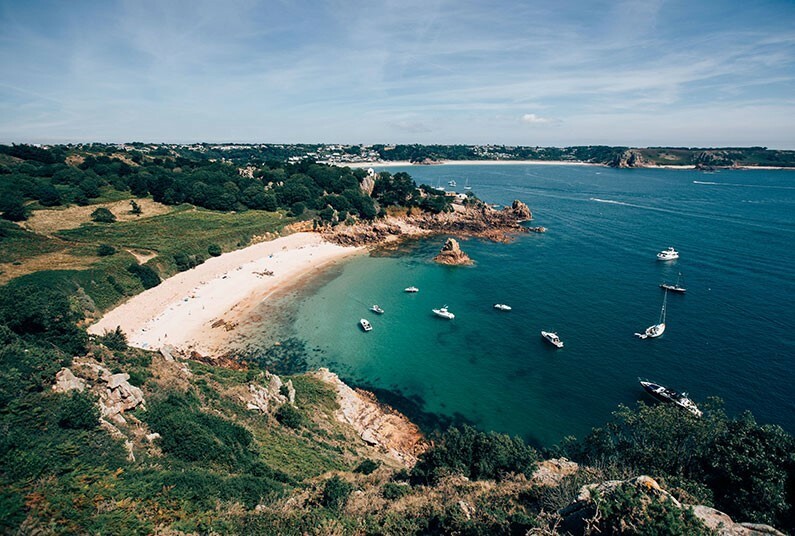 On your holiday, discover great beaches, coves and spectacular scenery on an island with one of the best sunshine records in the British Isles. Agent for Premier Holidays protected tour operator, ATOL 2713. Pricing shown is a from price, per person based on 2 adults sharing a Classic Room for 5 nights at the Grand Hotel Jersey on a bed and breakfast basis. Departures are on selected dates between 25 May 2019 and 12 Jul 2019. Price shown is based on departure from London Gatwick or London Luton on 04 Jun 2019 and includes flights and accommodation. Prices are correct at the time of print (21 Mar 2019), are subject to limited availability and can change at any time. Terms and conditions apply. Full operator terms and conditions apply. Book by 30 Apr 2019.